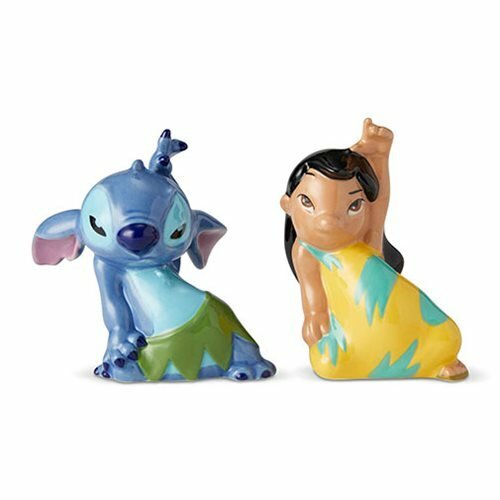 Lilo and Stitch strike a pose as they dance to Devil in Disguise as featured in the hit Disney movie. This salt and pepper set is made of stoneware and is presented in window box packaging. 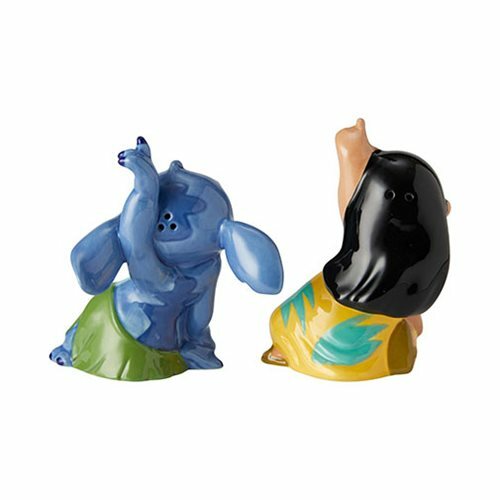 This Disney Lilo and Stitch Salt and Pepper Shaker Set is a must have for Disney fans. 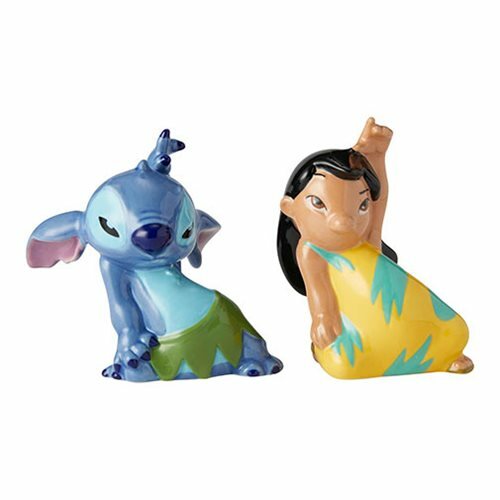 Measures about 3 3/4-inches long x 3 1/5-inches tall x 2 1/2-inches wide. Hand wash only. Not dishwasher safe. Do not microwave.